Has soothing and moisturizing elements which are effective in relieving itching. Cocoa Butter is a natural antioxidant which soothes, hydrates, and balances the skin. Glycerin is a humectant that locks in moisture and keeps skin hydrated for longer. 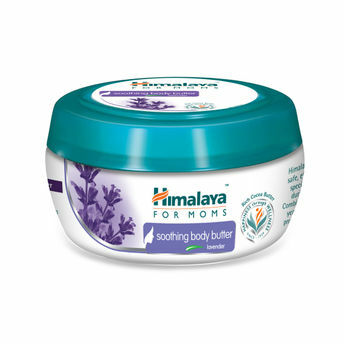 Alternatively, you can also find many more products from the Himalaya Mom's Care Soothing Body Butter Lavender Cream range.